MBC's weekend drama 'May Queen' made viewers tear up with their heart breaking weep. On the episode of 'May Queen' which aired on August 19th, it showed debt collectors chasing after and beating Chun Hong Cheol (played by Ahn Nae Sang) who fled to Ulsan because his business went bankrupt. 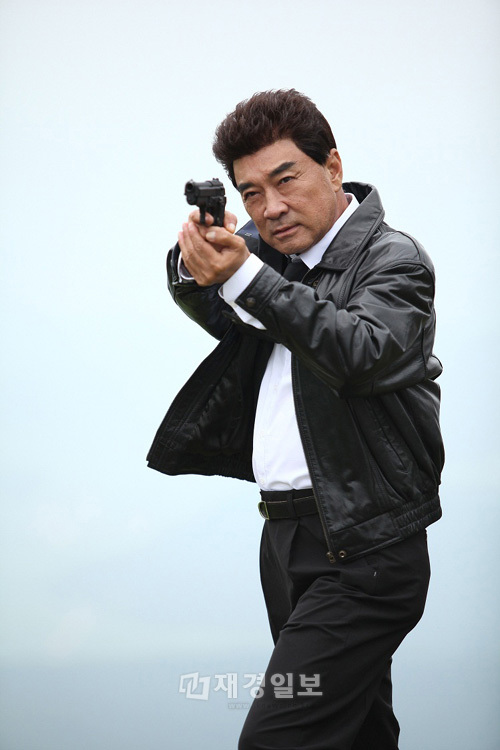 On this episode, Chun Hong Cheol begged to spare him "just this once, and that he'll pay the money soon" but couldn't stop the beatings of the debt collectors. 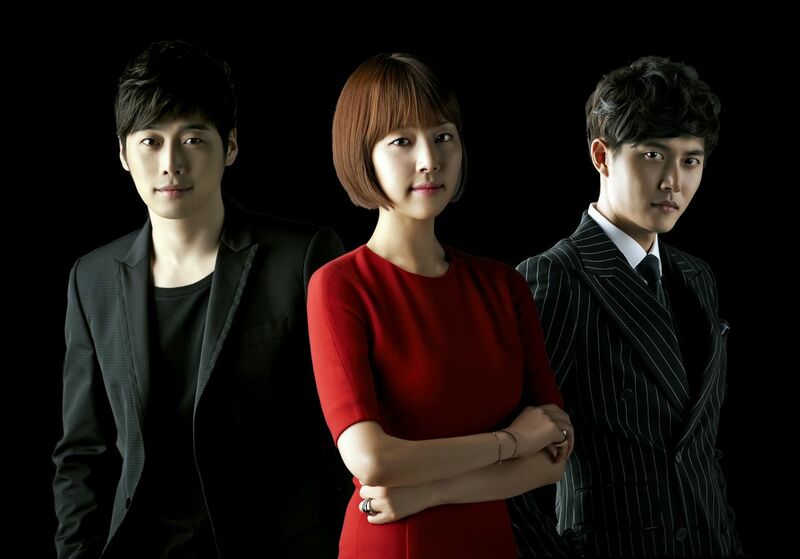 Hae Joo and Jo Dal Soon (played by Geum Bo Ra), and Chun Sang Tae (played by Kim Dong Hyun) tried calming down the debt collectors, but that wasn't enough. But Hae Joo wasn't discouraged by the big and scary debt collectors and said, "it's fine if you kill me or even sell me, so don't hit my dad anymore." The debt collectors finally went away because of Hae Joo, and Hong Cheol started crying because of his situation. Hae Joo also cried because she was heart-broken by her father's tears. Ahn Nae Sang and Kim Yoo Jung played father-in-law and daughter-in-law in 'The Moon That Embraces the Sun' and met again through 'May Queen.' The two don't share the same blood, but made the viewers warm inside by seeing them care for each other very much. Kim Yoo Jung made a very big impression like the older actors and actresses by her mature acting skills. 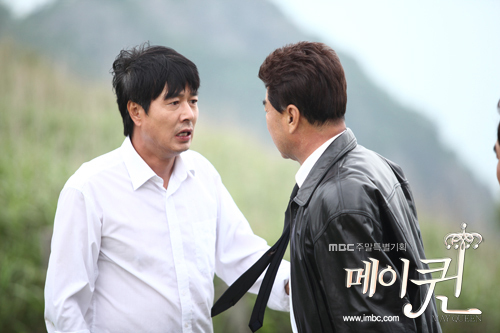 On this episode, Chang Hee (played by Park Gun Tae) punched Il Moon (played by Seo Young Joo) who ordered Chang Hee's father around like a slave. 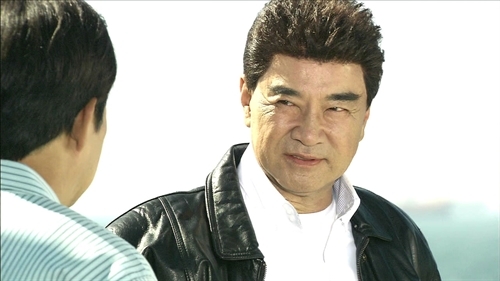 Yoon Hak Soo(Seon Woo Jae Deok) was killed by Jang Do Hyun(Lee Deok Hwa). On the first episode of MBC TV weekend drama 'May Queen' that aired on the 18th, Jang Do Hyun was seen destroying the family of Yoon Hak Soo. One day, Yoon Hak Soo received a phone call from Jang Do Hyun saying run away, and he ran away with his family. Yoon Hak Soo told Park Ki Chool (Kim Kyu Chul) and his family to run away first, and remained. At that time, Jang Do Hyun appeared and calmed down Lee Keum Hee(Yang Mi Kyung) and went to Yoon Hak Soo. Jang Do Hyun removed the group. 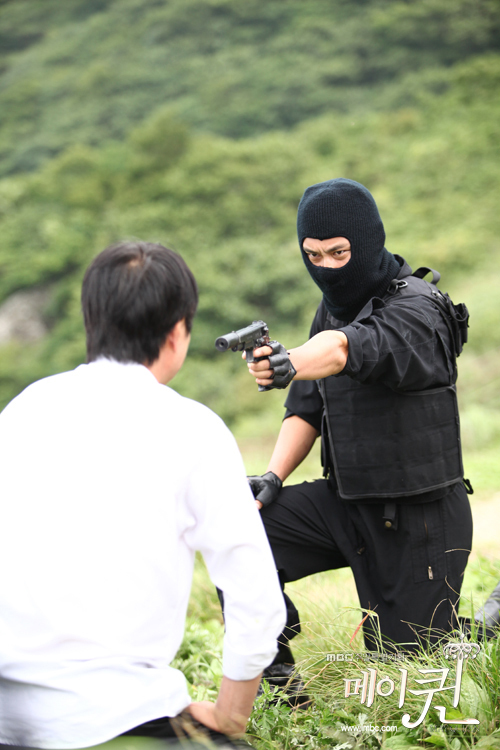 Jang Do Hyun pointed the gun at Yoon Hak Soo who was showing him thanks. Yoon Hak Soo said, "Hyung, why are you doing this?" He was shocked and died. Park Ki Chool saw everything and told Jang Do Hyun to just let him live. Park Ki Chool kneeled and said, "Please let me live, just think of my young son Chang Hee. I didn't see anything. I will shut my mouth forever. Whatever you do, you will do it." Yoon Hak Soo couldn't even close his eyes due to the betrayal. Jang Do Hyun made a proposal to him and said to send Seon Woo Jae Deok's son Hae Joo away. Hae Joo was then handed off to Chun Hong Chul(Ahn Nae Sang). Lee Keum Hee was left alone and lost Yoon Hak Soo and Hae Joo. Jang Do Hyun asked, "Can you take care of these kids with me?" Lee Keum Hee replied, "Wouldn't it be shameful for their mother?" Jang Do Hyun replied, "More than that, the days thinking of you was harder. Lee Kum Hee was going to reject his proposal, but couldn't ignore the crying children.